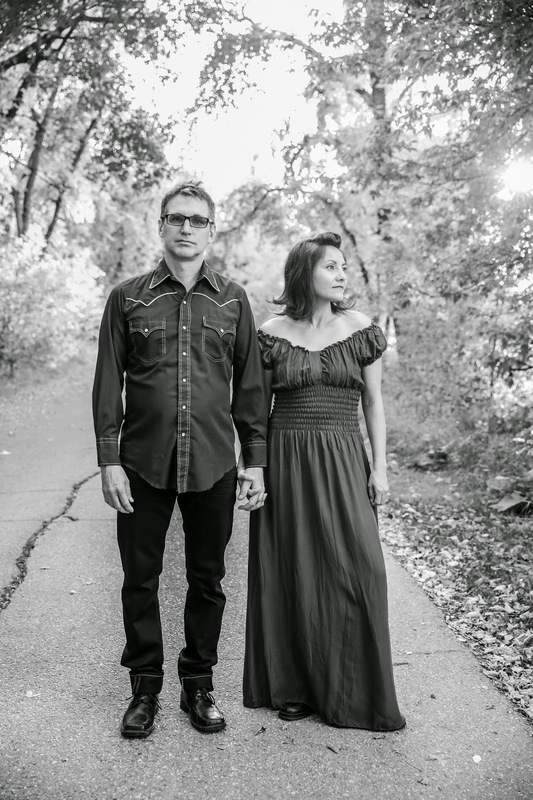 Like a summer breeze ushering the winter blues out the door, a brand new album by Canadian duo Leaf Rapids hits the airwaves this spring to present a delightful awakening experience. Inspired by the remoteness and eccentricity of the northern Manitoban town of the same name, this new project by husband and wife team, Keri and Devin Latimer, is organic in its evolution, roots in its stance and experimental in the finished product. Quite simply LUCKY STARS is decorated with all the essential ingredients of a record destined to make a longstanding impact. Keri appears to be the mover and shaker on the record, applying her soft velvet, though versatile in places, vocals to all twelve tracks, being the lyrical architect of the ten originals and generally fronting the band. 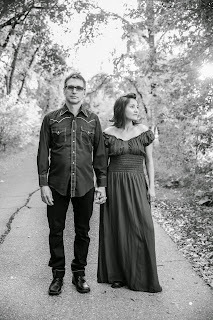 However Keri is more than indebted to her bass playing husband, Devin, and an incisive production input from a Canadian music playing colleague in Steve Dawson who steered the record to its recording conclusion in his Nashville studio. Heavily influenced by pedal steel on a number of tracks gives this album a dignified country feel and this is no more apparent than on a cover of The Handsome Family’s ‘Don’t Be Scared’. To back up this sound ‘Gravity and a Ladder of Gold’ also has country pretensions in eternal portions. However this is no stereotypical release, with a strong folk and roots thread binding its luscious vocals and stellar sound. Choosing to end with a cover of David Bowie’s ‘The Man Who Sold the World’ is a masterful stroke proving the theory that great songs can transcend genres and styles. The balance between the heavy production, sanctified vocals and lyrical messages is finely tuned by the assembled players. The instrumentation includes Keri showing her skills to incorporate the sound of the theremin into the usual strings, keys and percussion cacophony. The writing floats between deeply personal issues such as the title track ‘Lucky Stars’ and perhaps a take on remote communities in ‘Welcome Stranger’. The environment plays a part on a couple of numbers, namely supplying the backdrop to ‘Galaxie 500’ and providing the subject for ‘Vulture Lullaby’. A strong case for the lyrical peak arrives in one of the record's stand out tracks where Keri circumnavigates a series of heartfelt pleas in the outstanding ‘Healing Feeling’. Album opener, ‘Virtual Machine’ is one of the record’s tender moments and acts as the perfect relaxing aperitif before the more up tempo features kick in. The penultimate track ‘Agent of the Night’ is one of these more active numbers that heralds Keri’s writing finale before the Bowie cover ends the record. Second track ‘April’, with stints of banjo and fiddle, probably represents the album’s starkest roots moments, while ‘Everything in Between’ serenades the listener with melodic poise. If you are searching for a definition to attach to this record, the alt tag is poised to make its mark and more than anything this concept highlights the record’s impatience to linger too long in a buried and cemented sound. 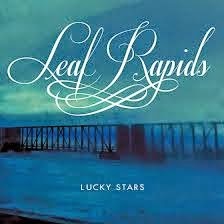 We are continually shown the strength and depth of the Canadian music scene and LUCKY STARS by Leaf Rapids is further proof of this notion. Whether this is an extended project for Keri and Devin remains to be seen, but they have left an impressive stamp with the effortless tones of this record.